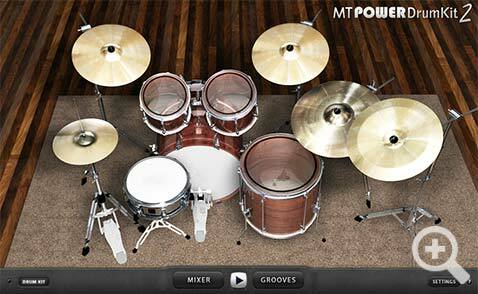 The MT Power Drum Kit is a free drum sampler offering the powerful, high-quality sounds of an acoustic, realistic drum kit. Samples have been specially recorded and processed to make them ideally suited for use in pop, rock and metal productions. 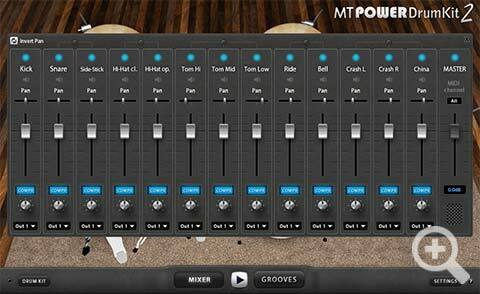 The MT Power Drum Kit Sampler differs from other, expensive drum samplers in that we have already pre-processed the sounds with compressors and EQs to make them a perfect fit for any mix. This is precisely where many drum sample programs fail. Some of the expensive plugins available on the market deliver a highly natural and dynamic drum kit sound as a solo instrument, but many fail as soon as they are supposed to be used for a complete mix in a powerful pop or rock production. Either the kick drum suddenly sounds much too slack or fuzzy in the mix, or the snare drum, which initially sounds natural and dynamic in solo mode, suddenly gets lost in the background in the overall mix, drowned out by the guitars and other instruments. 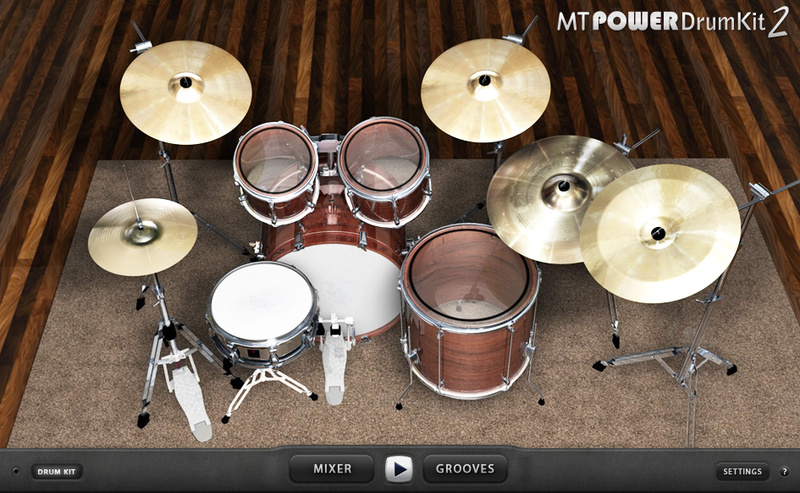 But this is exactly where the MT Power Drum Kit is strongest. Its kick and snare drums come through clearly in any mixing situation – and still sound natural and not overly compressed. 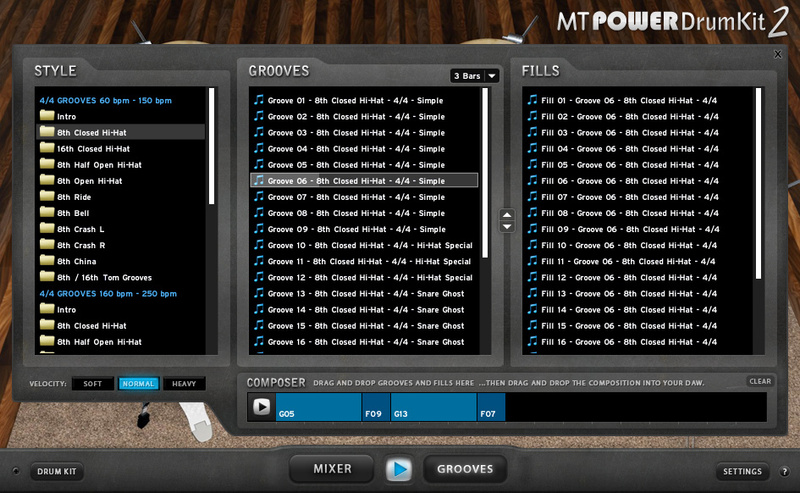 You can choose from thousands of assorted rhythms in the comprehensive Groove Library and compose your own drum accompaniment. 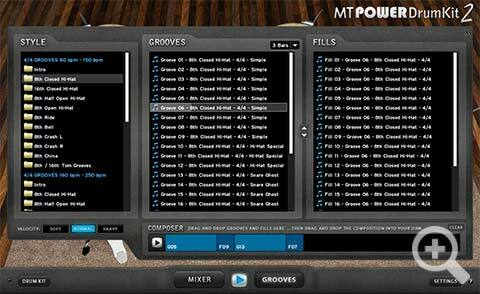 In particular, the innovative functions for creating fills generate very smooth and realistic drum tracks (see video). Because we used high-quality cymbals and microphones for the recordings, the crash, ride and hi-hat cymbals sound especially refined and pleasant at various velocities. As early as during microphoning of the set and recording of individual samples, we took great care to replicate realistic circumstances. Although doing so is almost impossible, we broke with tradition in sample recording, which calls for capturing every sound individually; Instead, our studio drummer played entire grooves. Then, we cut most of the necessary sounds out of the grooves, in various velocities, and processed them to deliver samples as realistic as possible. This is especially clear with our hi-hat samples, for instance. 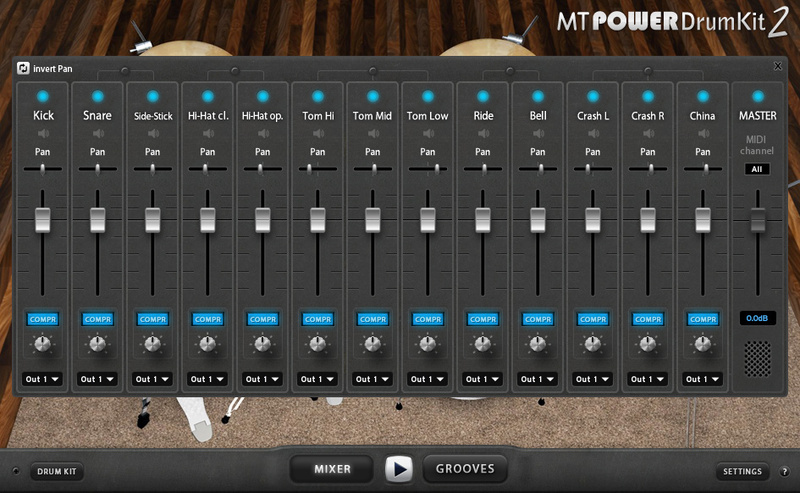 On the right-hand side, you can listen to demo tracks to hear the impressive results.